Olga Neubert murder: Estranged husband gets 25 years prison. "You brutally executed her": Wife murderer receives 25-year sentence in court. Driving around Hobart with a shortened and fully loaded firearm, Klaus Dieter Neubert just needed a chance meeting with his estranged wife for the opportunity to carry out his long-held murderous plan. It was May 2015 when he spotted Olga Neubert driving her Peugeot hatchback through the city’s northern suburbs. Neubert used his Mercedes four-wheel drive to block the path of his wife’s car at an intersection, going on to commit what Tasmanian Supreme Court justice Michael Brett has described as a shocking example of domestic violence. “In a calm and purposeful manner, you walked towards her car and fired repeatedly into her vehicle,” Justice Brett said to the 75-year-old killer, who sat expressionless in the dock as he was sentenced on Monday to 25 years’ imprisonment for the daylight killing. 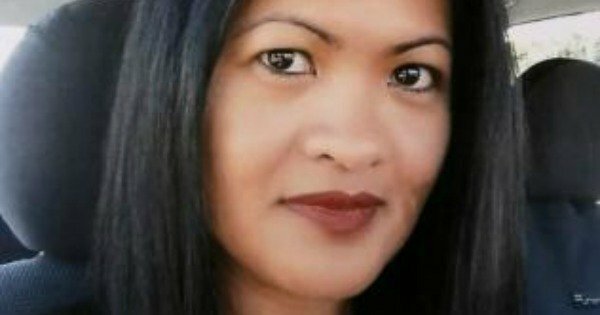 The judge described how the Philippines-born victim had been avoiding contact with her husband of 18 years and must have been terrified as she realised his intent. “You made this decision because of your inability to accept the breakdown of your marriage,” the judge continued. Neubert fired the fatal shot when he rested the rifle barrel against his wife’s skull and pulled the trigger. It was all part of a “plan to hunt down and kill your wife and then kill yourself”, the judge said. But Neubert failed in the second part of his plan and was instead arrested at the scene. A passenger in Ms Neubert&apos;s car was also injured in the shooting. Josephine Ramos Cooper lost two fingers on her right, and preferred, hand and a jury also found Neubert guilty of causing her grievous bodily harm. On the charge of murder, Neubert was convicted and sentenced to 25 years&apos; prison with a non-parole period of 15 years. On the lesser charge, he was jailed for three years and must serve at least half that time, meaning he will serve a minimum total term of 16 and a half years. "You will be a very advanced age when you become eligible for parole," the judge pointed out to Neubert. Mrs Cooper is suing Neubert for $2.4 million, claiming she is unable to work as a result of her injuries and needs regular care. The Supreme Court is due to make a decision in the civil matter on Friday.